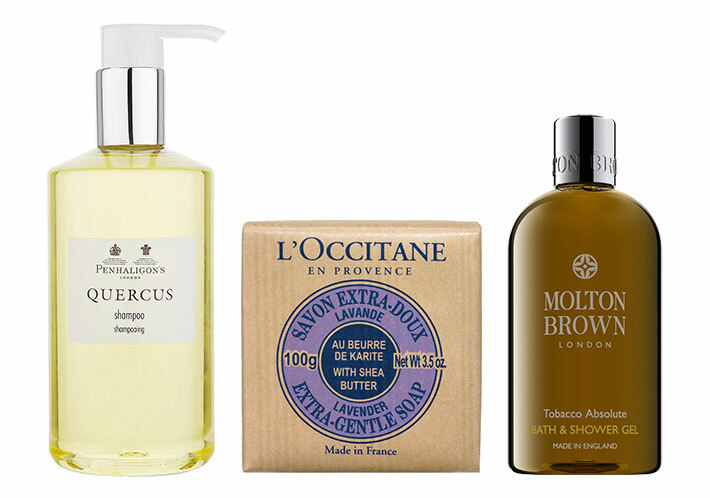 Where to look for an exclusive perfume Le Labo, Hermès soap and cosmetic full line of Bvlgari. Roy Lichtenstein paintings and bas-reliefs from the end of XIX century frescoes in the rooms - only a small part of what hoteliers are ready to surprise their guests. No less attention is paid to the bathrooms, which attracted not only by the rare marble and unique in the production of mirrors, but also carefully arranged cosmetics. We gathered the top 10 hotels with the most outstanding beauty-arsenal in the rooms: from Le Labo and exclusive Hermès soap flavors that wash the guests of the hotel in Lausanne. 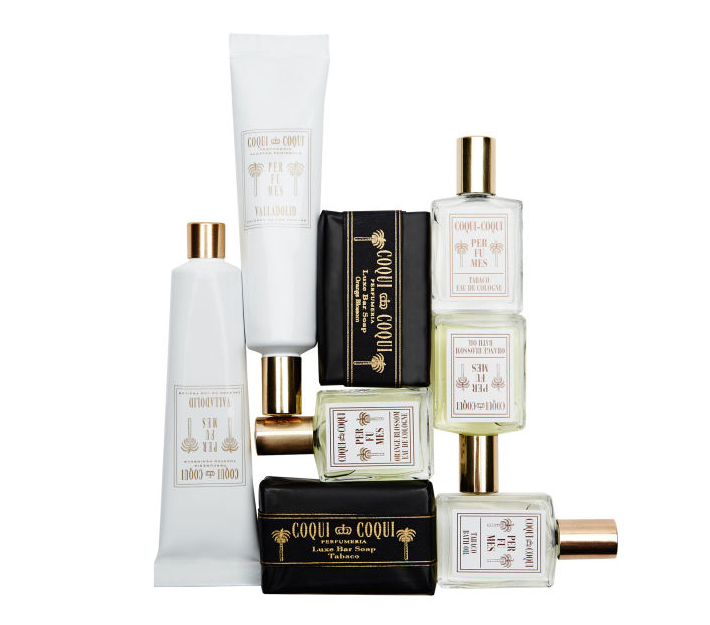 In Coqui Coqui boutique hotels in Mexico guests are presented with a box of cosmetics. It is possible to find a moisturizing body balm, gently cleansing soap and hand cream - each of these products are not only deeply nourishes the skin thanks to coconut extract in the composition, but also has its original flavor. In addition to the tools in the kit's you will also find bottles with perfumed water - in short, a great marketing ploy to make guests remember their Mexican vacation. It is worth stopping in Park Hyatt New York for at least one night not only for the 65-meter pool and incredible views of the city, but also to become the proud owner of a round bottle, which contains the fragrance Le Labo Tubereuse 40, designed specifically for guests of the hotel. In addition to tuberose, there are still thirty-nine notes in the heart of Eau de Parfum. The perfume opens with notes of fresh citrus, and after with woody notes, rose, jasmine, mimosa, sandalwood and cedar. Europeans appreciate the small yet very cozy hotel Santavenere, located in the town of Maratea near Naples, at least for two reasons. 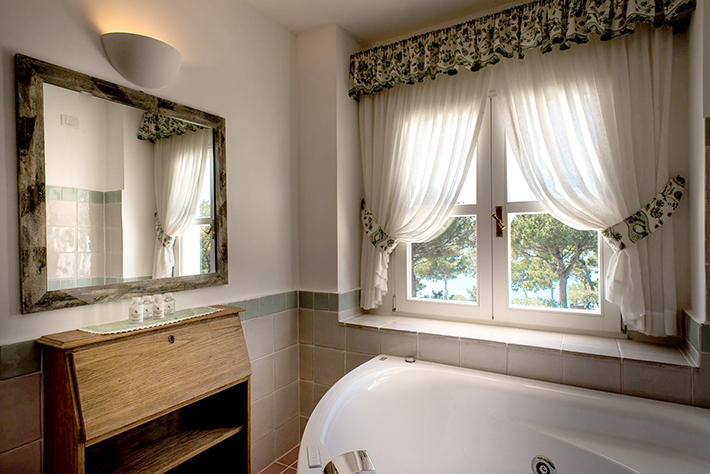 Firstly, it is located on the shore of the Tyrrhenian Sea with azure water that is not found anywhere else in the world. 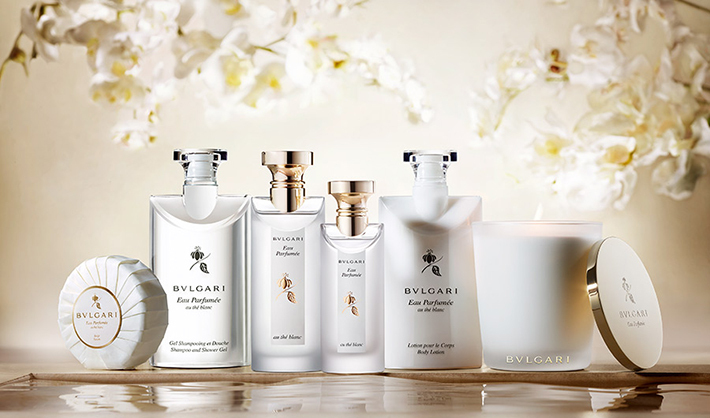 And secondly, all the cosmetics in the rooms of Santavenere - premium line of Bvlgari White Tea Au The Blanc. Shower gel, shampoo, body lotion – if you go here on vacation, your makeup can be safely left at home. 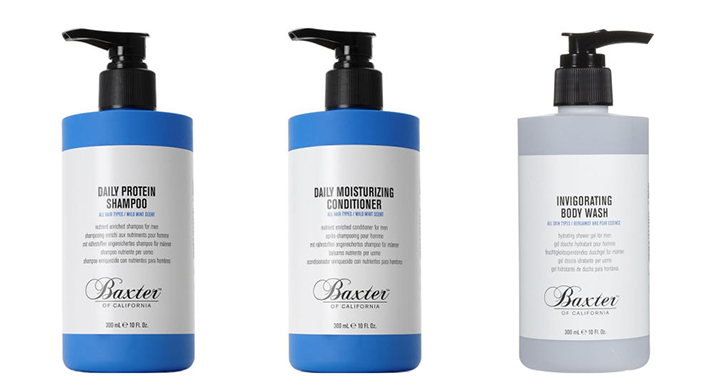 Industrial design at The Line Hotel in Los Angeles, California is ideal cosmetic line Baxter. Despite the fact that the brand focuses mainly on shaving, bottles of all shades of blue - from pale blue to indigo - with shower gel and body lotion will be waiting for you in the room, even if you are traveling without a companion. And it's not the staff error: soap and moisturizing lotion brand are considered universal. 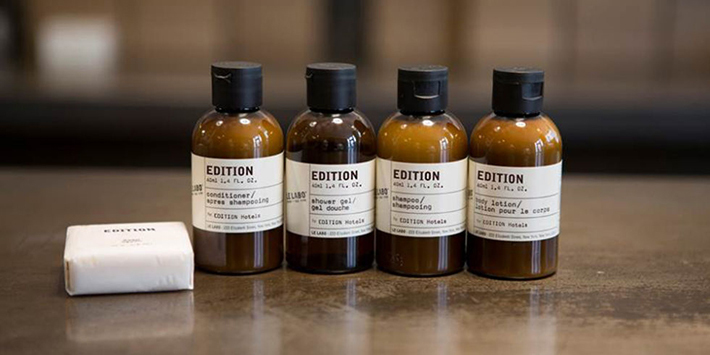 Edition, located five minutes from Soho, offers customers the same name bath line by Le Labo. 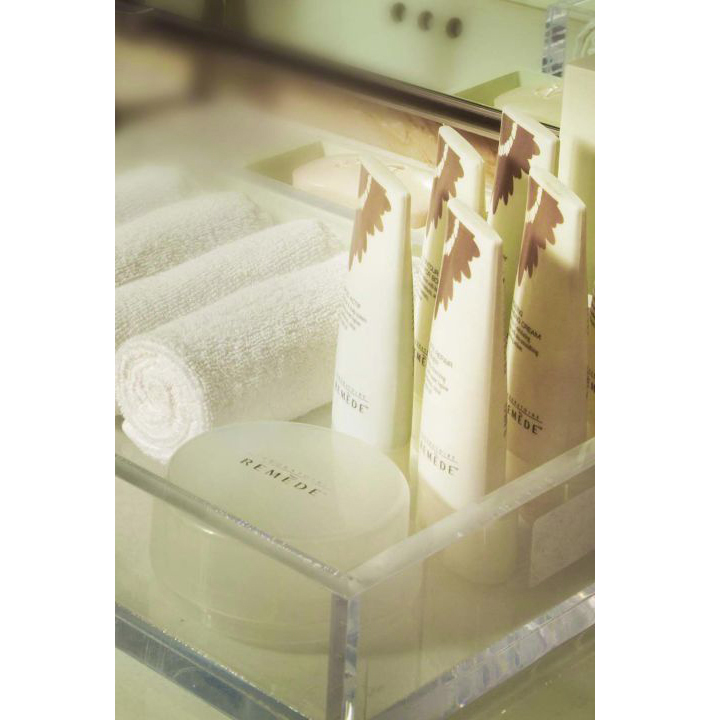 Shampoo, shower gel and moisturizing lotion are specifically designed as part of the hotel and the collaboration of the American cosmetic brand. 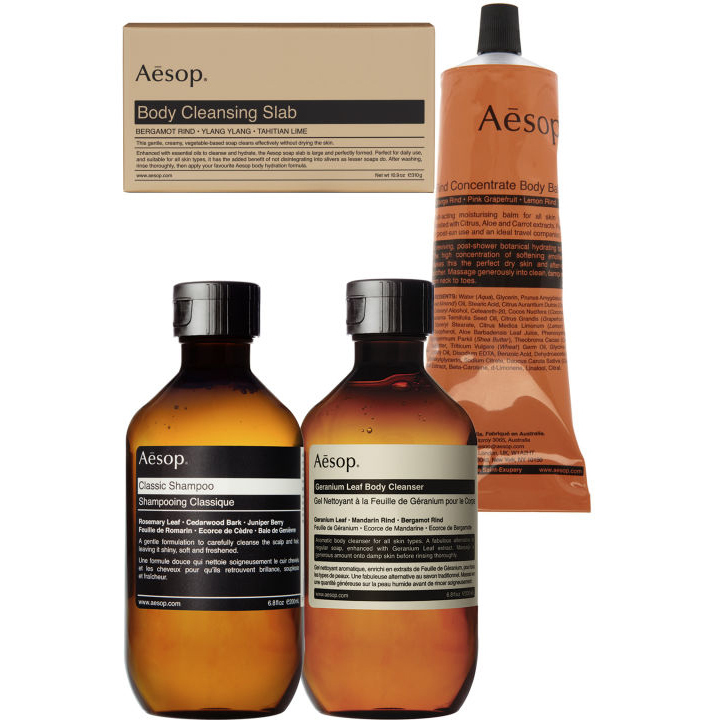 Popular Australian cosmetics can be found in Aesop minimalist boutique hotels in New York City Gramercy Park Hotel and the Hotel Americano. Fragrant herbal shampoos and shower gels are in the glass pharmaceutical vials and melting hand cream and cleansing mask with an extract of parsley in tubes. Restored and re-opened its doors in late 2015 Hotel in Lausanne preferred cosmetics by the French House of Hermès. The light-filled bathrooms are filled with emerald bottles of Eau D`Orange Verte, being presented here is not only cleaning products, but also a mini-version of the eponymous flower fragrance. Notes of bergamot, orange blossom, jasmine and lemon help to relax after a morning walk on Geneva Lake. Innovative products of Laboratoire Remède represented in all St. Regis Hotels and Resorts. In addition to the classic line of bath, guests are offered revitalizing series for Actif hair. Unlike most ordinary shampoo, that are usually offered in the hotel room, you can safely grab a couple of bottles of Actif products and take home. Thanks to mint and citrus, Actif shampoo and conditioner helps to improve blood flow to the roots and strengthen the locks along the entire length, giving volume and shine. Hotel The Royal Hawaiian is remarkable not only for its location and candy-pink façade, and organic cosmetics in the rooms. 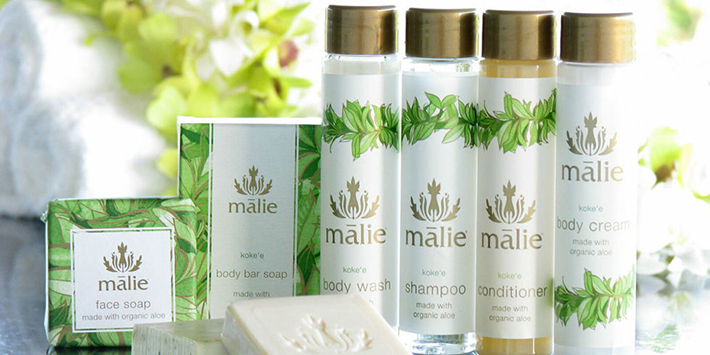 A complete line of cosmetics Malie's Skin local For is assembled for guests: from soap to wash up milk for the body. All proceeds deeply nourish the skin thanks to local herbs in the composition. Another hotel of "Big Apple", which pays considerable attention to the fact that guests will find in the bath. Beauty kit here includes products labeled "hit" from different brands. Thus, guests of “Le Parker Meridien” are offered Hermès and L'Occitane soaps, perfumed shampoo Penhaligon's and shower gel Molton Brown with invigorating aroma of basil and coriander.